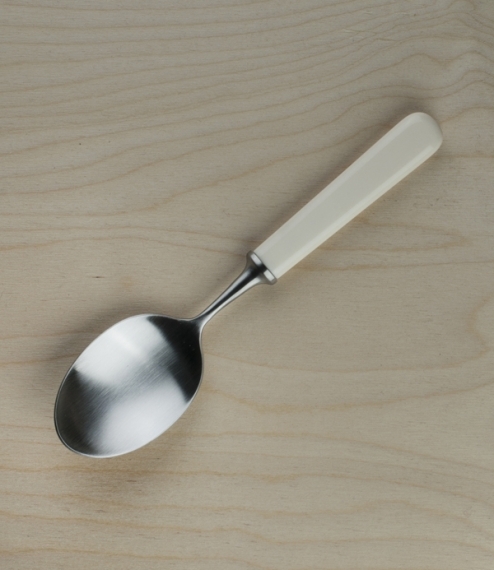 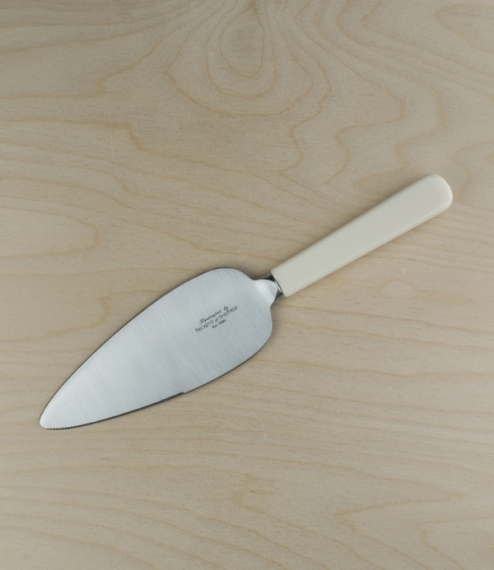 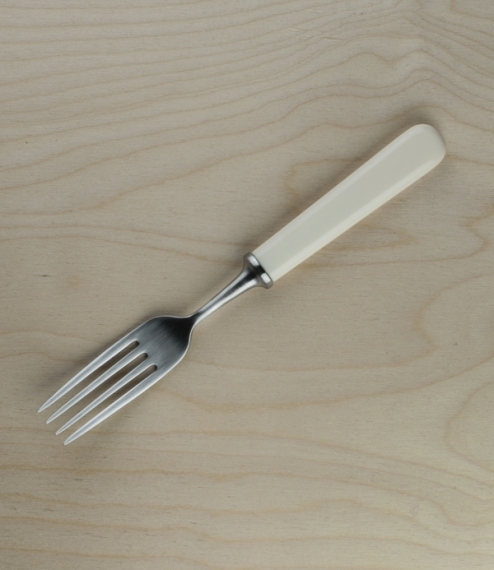 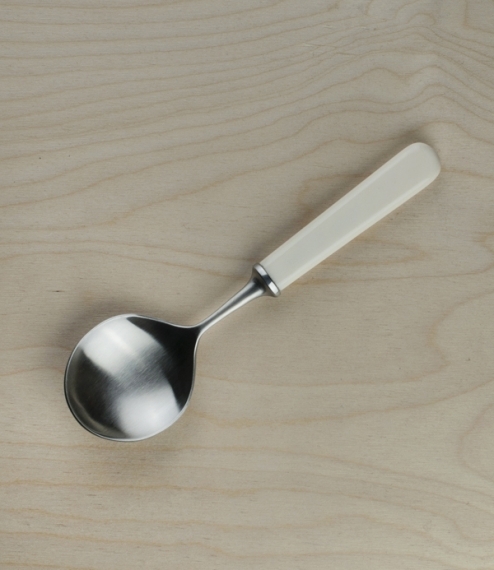 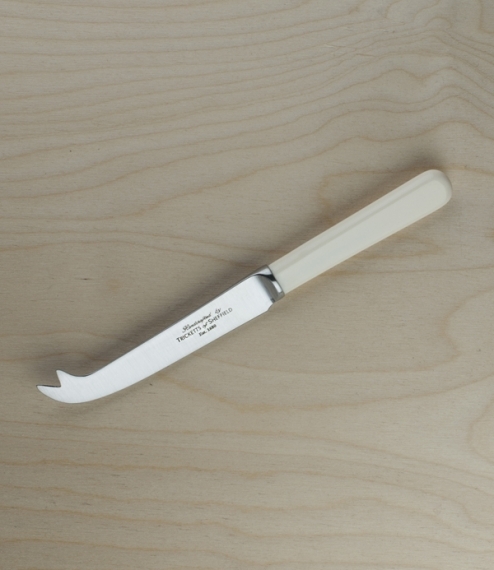 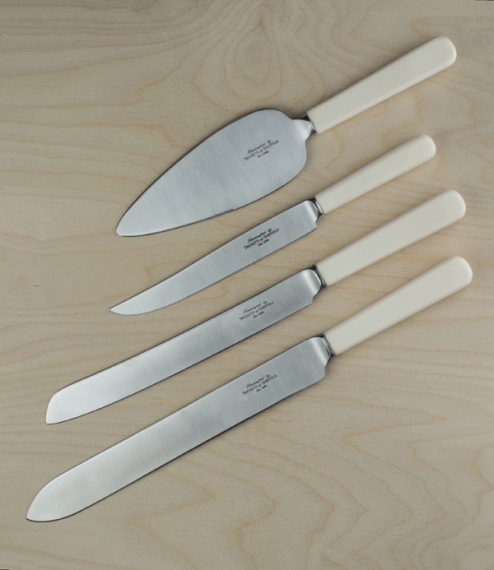 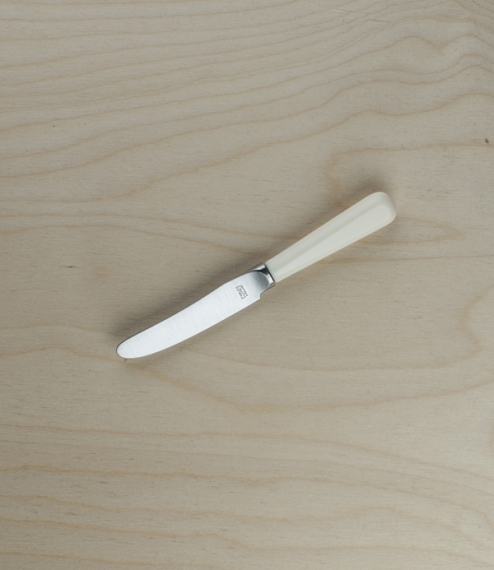 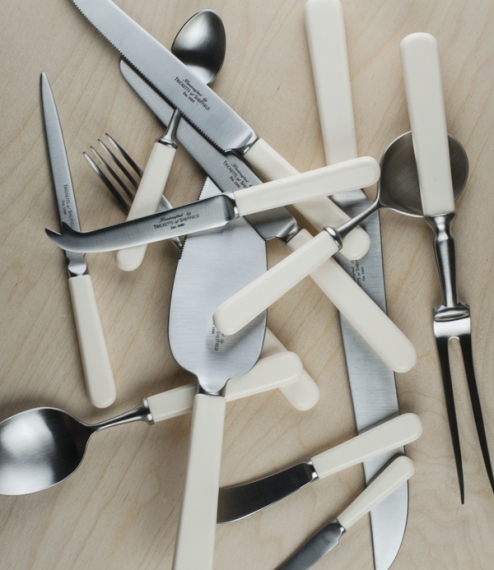 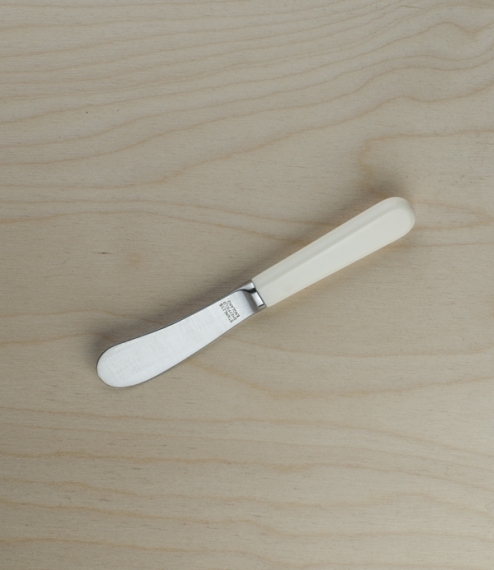 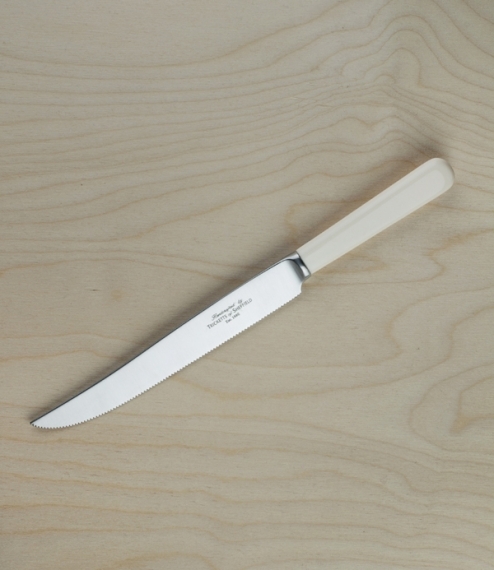 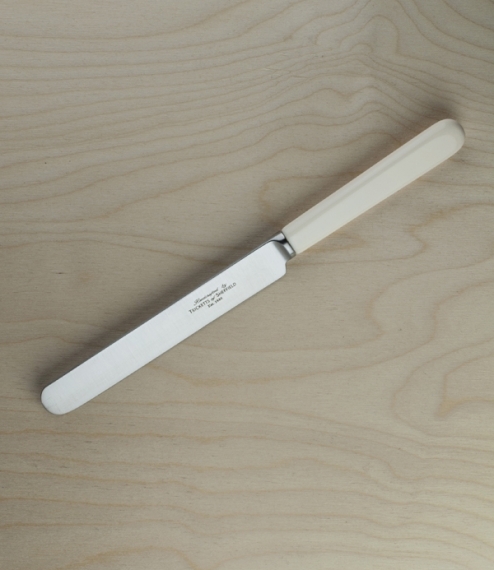 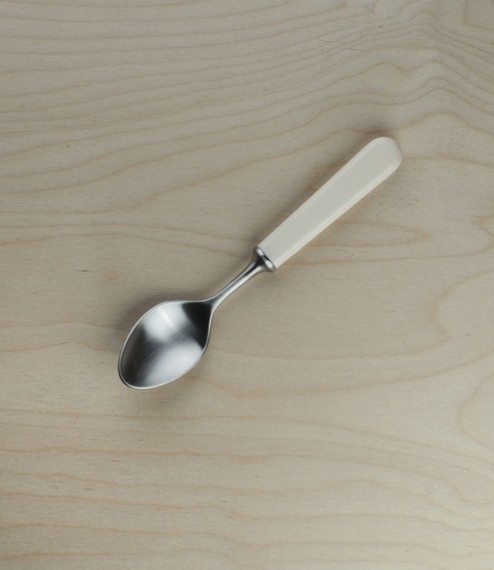 Heirloom quality dishwasher-safe versions of this very traditional English cream handled cutlery style, still being made in Sheffield - home since 1638 to the Cutlers' Hall and world renowned centre of steel and British knife making since at least the 13th century, and hopefully for many years to come. 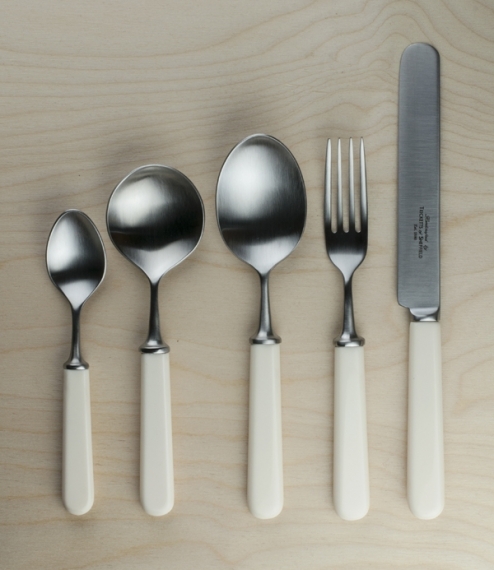 Produced by Tricketts at the White Rose Works on Eyre Lane right in the centre of the city amidst a small cluster of historic light-industrial, art, and crafts units now surrounded by ever encroaching retail, university, and speculative residential developments. 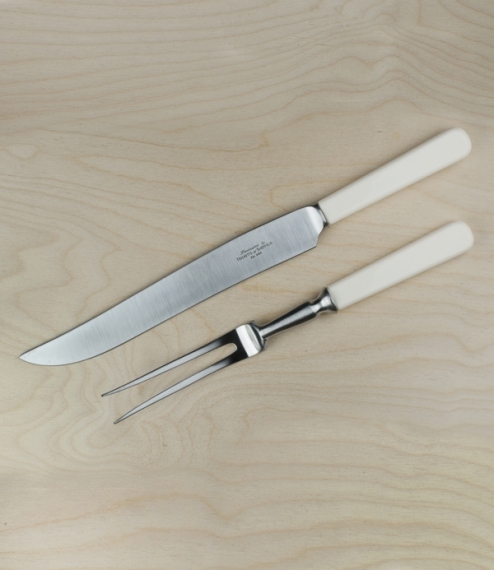 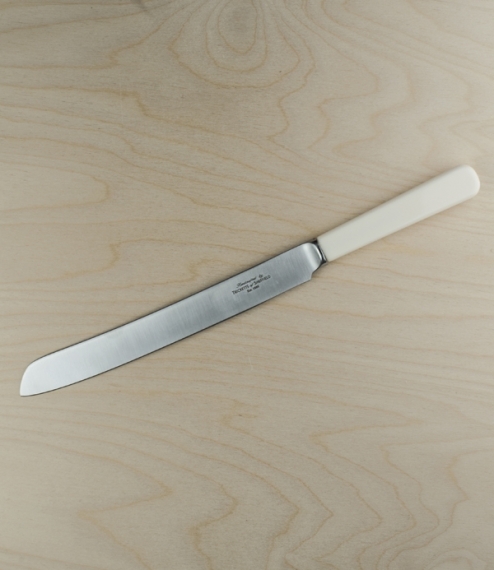 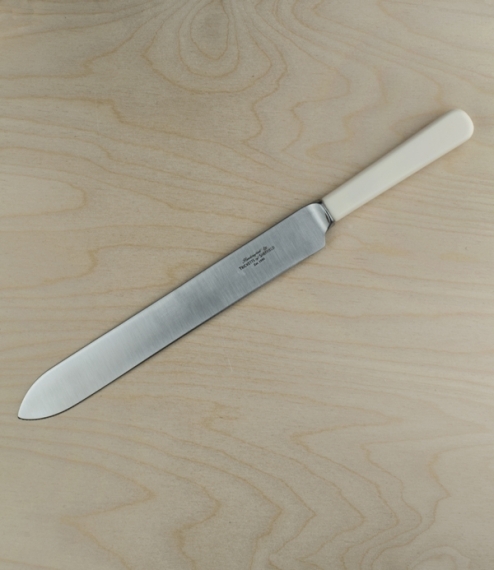 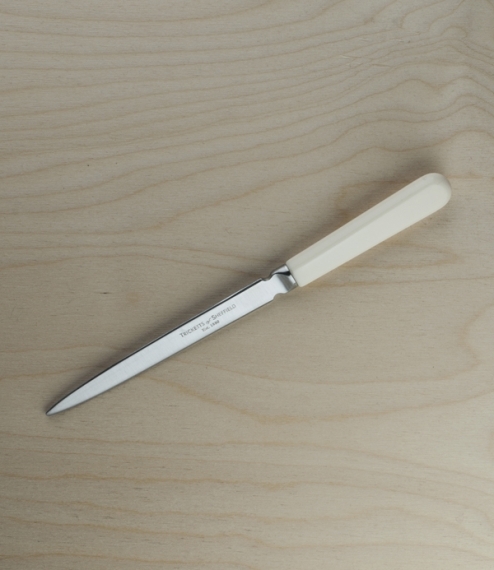 The table knives are of an elegant parallel style, and all are of a martensitic stainless steel left with the most traditional sateen finish. 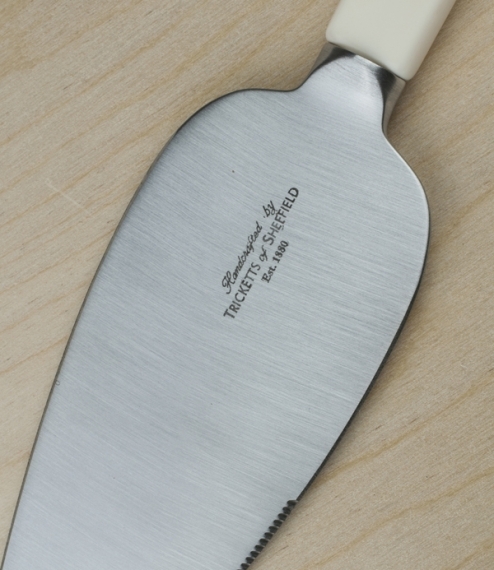 Each blade or tool and handle is individually brought together and fixed witout the use of adhesives.